I always put "Packs of Baseball Cards" on my Christmas Wish List. Every year, my family asks, "Well, what kind of baseball cards?" My response: "Any kind!" I don't care if they are the latest wax packs or a discount piece-together - I'll take baseball cards for Christmas any way, shape or form. This year, I received several packs of cards and a "Big Pack" blaster box. The scans are some of the hits from all the cards that came out of those. 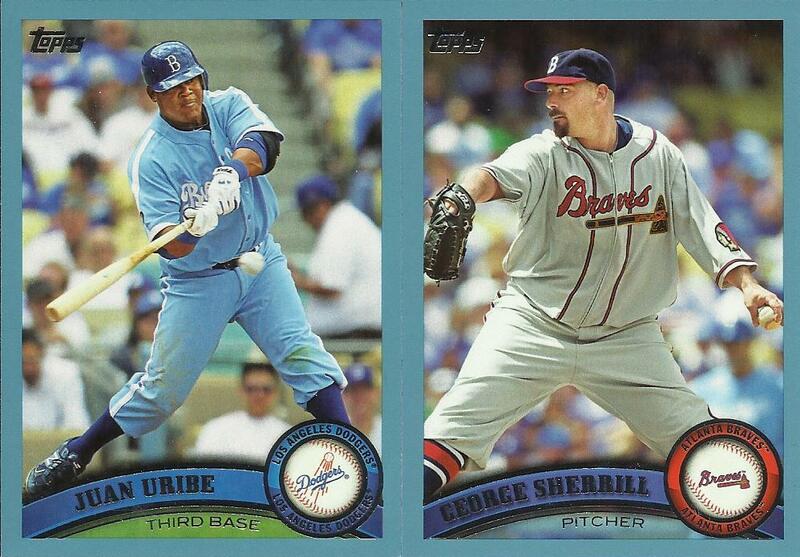 I use the term "hits" in two ways: First, Tribers and cards that catch my eye. Second, inserts, parallels, etc. I chose the following for specific reasons. Topps photography was better for the 2011 set than I have seen in years. The quality, the action, the overall presentation. Finally, some decent work. First, we have Dustin Moseley in mid air, about to kick Drew in the head. Okay, not exactly, but dang close enough that Drew is ducking out of the way! Derek Jeter is, well, Derek Jeter. And Derrick Lee is signing autographs along with other players in the background. That is a great "fan-reach" photo right there. 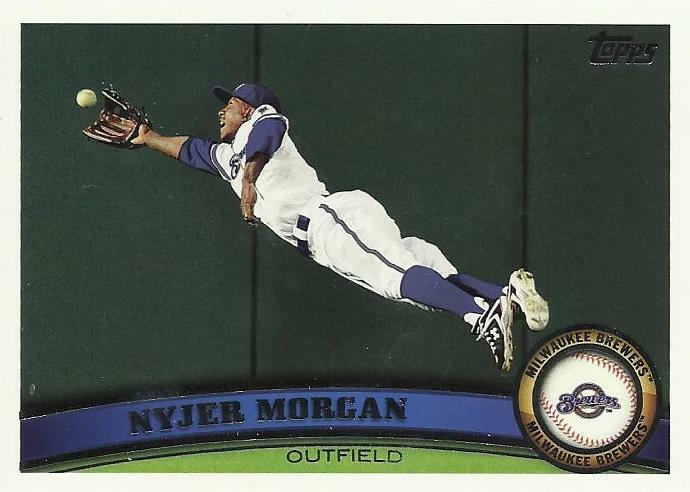 And speaking of reaching, how about a laid out Nyjer Morgan with the ball just at glove's tip from this angle. This is a great in-the-moment photo! Does he make the catch? Is the ball too far out of reach? Excellent! Among the cards in packs and boxes, I also found a handful of mini Champions cards! I like these a lot, and the player selection ain't bad, either! How about recent HOFer Bert Blyleven!? Yeah, buddy! Oh, and then Paul Molitor! He's probably one of the few Brewers I could name off the top of my head without thinking. Arkansas native Cliff Lee joins the group followed by Mike Stanton. I like that Lee is pictured in a Philles hat, yet the 'sketch' at the bottom is clearly an Indians uniform. I pulled three Topps60 cards: Lou Gehrig, Joe Mauer, and George Sisler. Nice trio, if I must say. And, of course, I must! 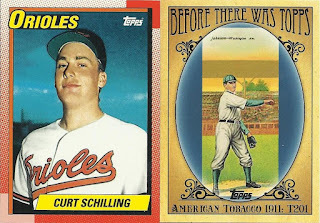 I got one "60 Years of Topps" card, and it is Curt Shilling on a 1990 Topps layout. I also got a "Before There Was Topps" card of American Tobacco 1911: T201. 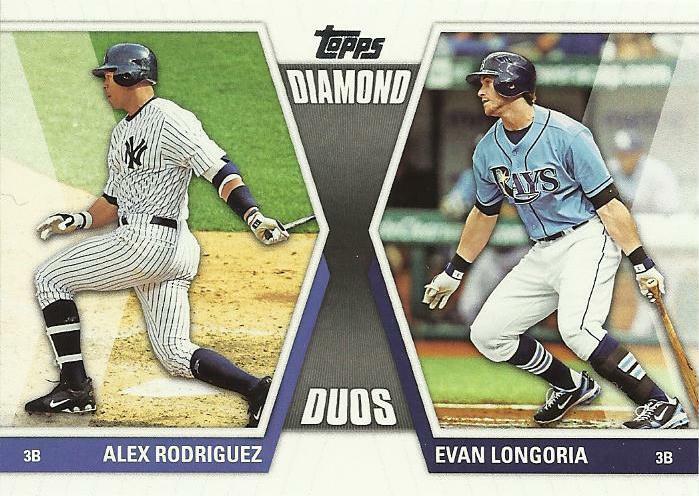 I also received a "Diamond Duos" card featuring A-Rod and E-Long. See what I did there? Not to be outdone, my mother-in-law snuck a pack of football cards into my stocking (for the Christmas record, she makes up stockings for everyone in the family each year. She is not stepping on ol' Santa's toes with this). When I opened the pack of Score cards, Big Ben was staring me in the face! Hey, if you're gonna get me football cards, pulling a pack with a Steeler in it is a sure-fire way to win me over! I also got a "Millennium Men" insert of Antonio Gates and Jake Long card (among other cards). Why post the Jake Long? Because it features James Harrison, of course. I love that my family supports my cardboard habit! As a matter of note, I also received several other 'hobby-related' items including Indians shirts and shorts, "The Perfect Game" on DVD, and "The Funniest Baseball Book Ever" in paperback. I'm sure there were other things, too. I just can't remember them now that it's been almost a week. 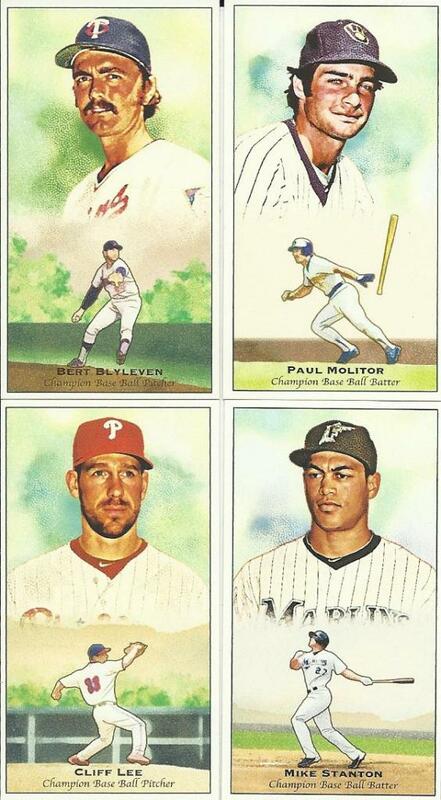 Topps released pics/mock-ups of their 2012 Series 2 line for next year. I made comments on each and every one of them as a way to provide customer feedback, and because I generally can't keep my mouth shut about anything these days, it seems. My number one complaint: stickered autographs. Oh, I know, to some collectors, just having an autograph is fantastic in and of itself. For me, though, an actual on-card auto far outweighs the coolness factor of signed sticker. Why? Because with an on-card auto, you know the player actually touched the card in order to get the auto on there. With a sticker, it just seems... I dunno... removed somehow. My other issue is the large 1-of-1 letter patch cards and the 'retro-look' cards. Come on. Using designs from past sets is played out. Has been for years. Collectors want something new, fresh. 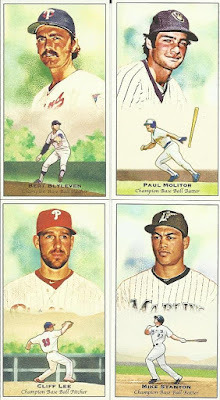 I actually like the designs of the base set for 2012 on the vertical cards. The design, to me, does not work at all on horizontal versions. Why not? The "swoop/swish" thing takes up too much room. On a vertical card, there is still plenty of space for the player photo. On a horizontal card, though, that same element squeezes the player's photo. 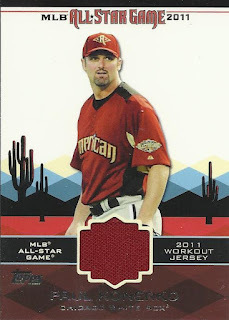 By far, my favorite styles for the 2012 Series 2 are the Team Ring cards and the Gold Futures Coins. I think they should do a "coins" version for HOFers/Legends though. Nice. There are lots of additional pictures on their Facebook page (link below). Topps has their version of "Upper Deck X" as well. It's a so-so design, but looks far too much like "X" for my liking. I mean, sure I liked "X" die cuts and all, but once again - played out. What I'd really like to see if the return of Pacific-style die cuts. 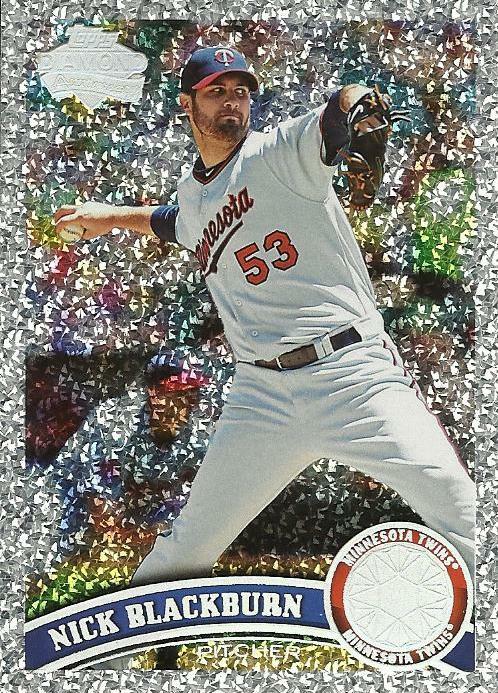 I mean, if we're going to do die cuts, let's get wild with them: Christmas tree ornaments, baseballs, whatever! MERRY CHRISTMAS!! I hope you and your family have a WONDERFUL Christmas full of little bits of cardboard goodness! This is my first foray into picking HOFer, er potential ones anyway, as a member of the BBA. I will probably match many of my fellow bloggers on most things, given the players listed for 2012. But, if you've been reading along at all, you know I have some pretty weird quirks and I'm sure some of those will find their way into my decision making. My criteria for choosing certain players hinges on one thing - do I think the player is "Hall-worthy." And, before we get started, let's just clear something up right here: The late-great players that have been in the Hall since its inception (not all, I know!) have been boozers, potheads, schizos, womanizers, whatever. As I read on another post, I'm not looking for players that helped old ladies across the street (though that helps in my book), but players who should be listed in the Hall because they deserve to in the Hall of FAME. Are they baseball-famous? Would a sports fan, possibly even a casual one, know who this person is due to their contribution to baseball? Infamy can work just as well as fame. Well, maybe. Sometimes not so much. Naturally, these are not sorted in any form or fashion. However, I will list my top 5 or 10 or whatever at the end. And, lookie there, I ended up with exactly ten names. Without even trying. I guess things just have a way or working out, eh. Feel free to comment. Have fun! Remember when Topps cards appeared on the bottom of Hostess boxes or were included in boxes of cereal? 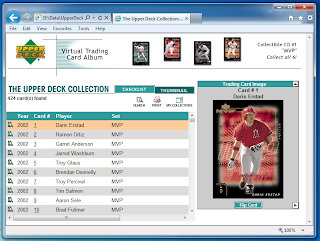 Well, in 2003, Post teamed up with Upper Deck, RealOne Networks, America Online, and EA Sports to bring collectors a look into the "21st Century Collection." What did these new-fangled collections come on? CD-ROM, of course! I recently found a stash of the discs in a pile of other ancient games and CD's, and realized I never completed the set. Heck, I'm not sure until today I even ever opened a single disc. I did not have AL Central in my stash, so I found a seller on eBay, bid and bought it. 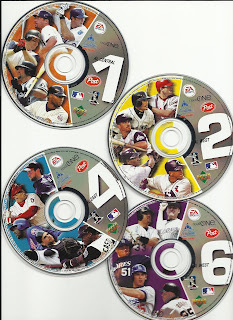 There were six discs in all, one for each division. According to the promo video that plays, if you collected all six discs you could order a real set of cards from UD. More on that in a moment. Surprisingly, the CDs still play on a Windows 7 machine, though there are some weird glitches. If you plan to pick these up, I suggest you run them in the Windows XP Mode download from Microsoft. The install puts RealOne on your computer if you don't already have RealPlayer. Not sure what it does if you *do* have RealPlayer already. 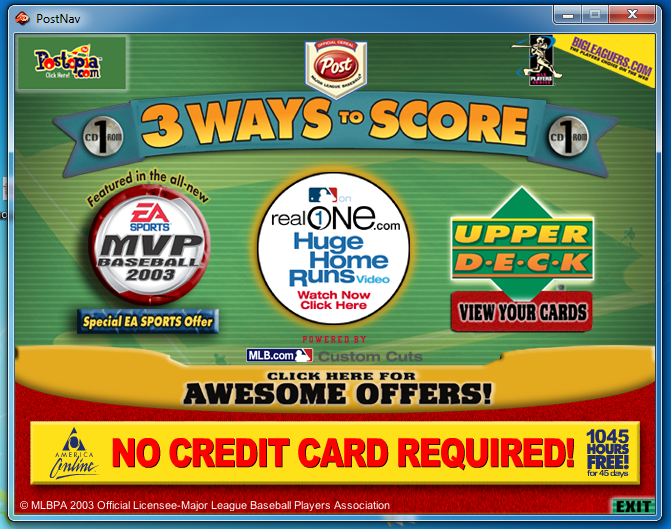 The promotion was officially called "Three Ways to Score" and featured the title screen below. 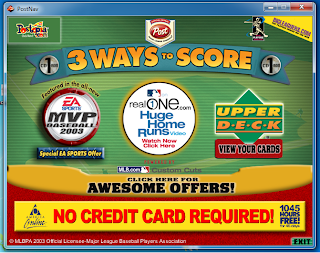 One could run a demo of EA Sports MVP 2003 Home Run game where you face off against another player (human or computer) and you have to hit enough home runs to accumulate 5,280 feet (a mile). I played as Jim Thome against the computer as Sammy Sosa. Let's just say I have to practice on timing. The other options from the title screen are to watch "Huge Home Runs" - a video collection featuring homers from the teams featured on the particular disc. 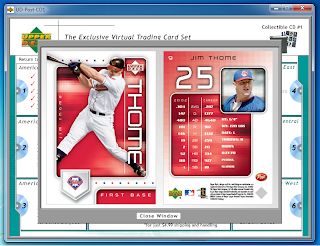 You could also view you virtual trading cards. You may recall my post about CyberAction collectible trading cards. These were the the-modern day version. We'll see those in a bit. 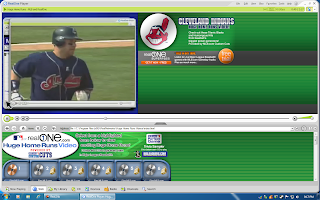 Right now, check out the screenshot from the "Huge Home Runs" video of the Indians. The video can be played full screen, but by today's standards, the quality doesn't even rival YouTube low quality. It's a bit rough to watch outside of the default size (my guess about 320x240 maybe). You can't see it in my screenshot, but the bottom half of the layout has icons of the teams to choose from. When you pick one for the first time, the program copies the videos to your computer. The last option on the title screen is to view your collection. 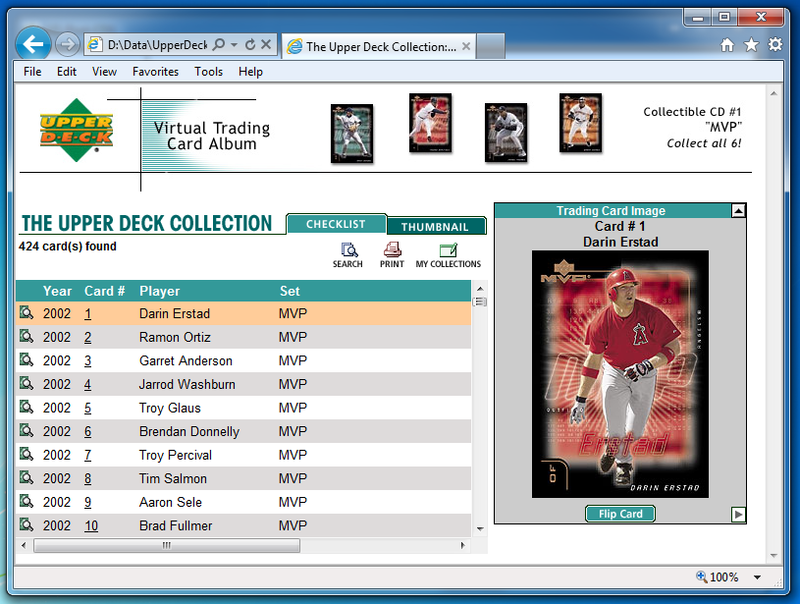 This actually two parts to it: the virtual cards and a checklist system for UD's MVP series for 2002. Why? I have no idea. The cool thing, though, about the checklist: you get a front and back view of each card. Next, we get to the virtual cards. First, we see a checklist of the cards available on THIS disc. You have to insert the right CD to view the right cards. That is sooo 2003... So is telling people to click on the HIGHLIGHTED names. Because, you know, we were so dumb in '03 we didn't understand hyperlinks and all that fancy web-page stuff. 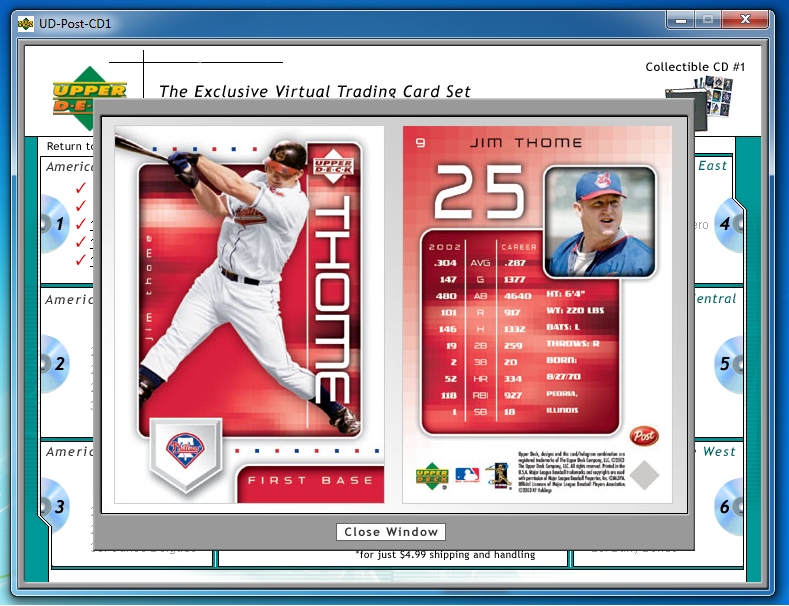 I will have to see if I can find the actual card that goes along with Thome's virtual one. I don't think I ever knew they had physical counterparts. That's actually a very clever idea, Upper Deck. Since I am only missing #'s 3 and 5, I may hit the 'Bay and snag them up - or a full set, probably cheaper. 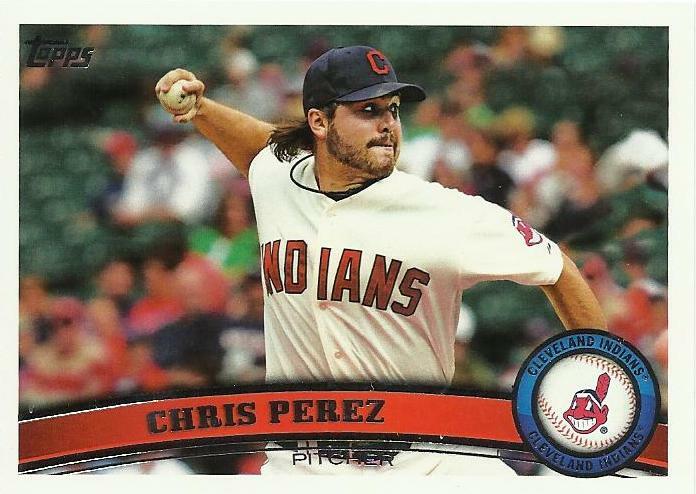 Hey all, just thought I'd drop a quick line to let you know that I am still here at Tribecards. Been offline from the site a bit as life has taken me away from blogging about my beloved Tribe here lately. Hopefully, that will turn around before too long. In the meantime, I have several packs of cards I'll be sending out this week: some folks are still awaiting their "Starter Packs" from the Topps Hobby box I opened many moons ago and I have random packs of kindness that I will be shipping out. Eric S's was sent to an old address, returned, and then promptly placed on a shelf to be mailed out, which never happened - D'OH! 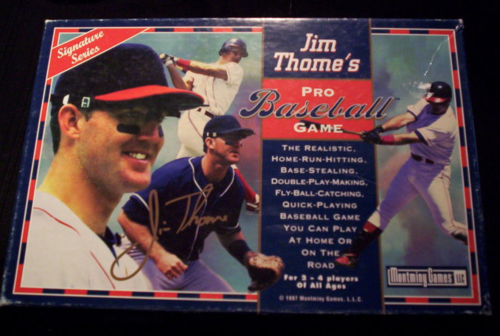 Evidently, in 1997, Jim Thome was asked to put his name and likeness on a dice/board baseball game. I had never seen nor heard of this beast until I saw a recent post on OldTimeFamilyBaseball.com. From there, I just had to look around. Sure enough, there are several on eBay... I may have to add this to my Christmas wish list, just for kicks. For those who enjoy "airburshing," you can see this game is NOT licensed by the MLB in any form or fashion. Sure, he may be wearing an Indians uniform in these images, but you're not supposed to know he is... Based on the work done, it probably would have been cheaper to get the rights than pay the person to airbrush the images. Then again, I know several of you could whip that out pretty quickly. The third article in the series will appear in the spring as I'll take a look at the upcoming season based on the players ready to take the field at the time. For this most recent writing, however, I believe Beau Mills has the highest potential impact for the team, presuming he'll come up from the minors to help out at first. As I state in the piece, he could actually take the first base position depending on what the Tribe does there. I think he has been flying just under the radar but is about to bust loose. 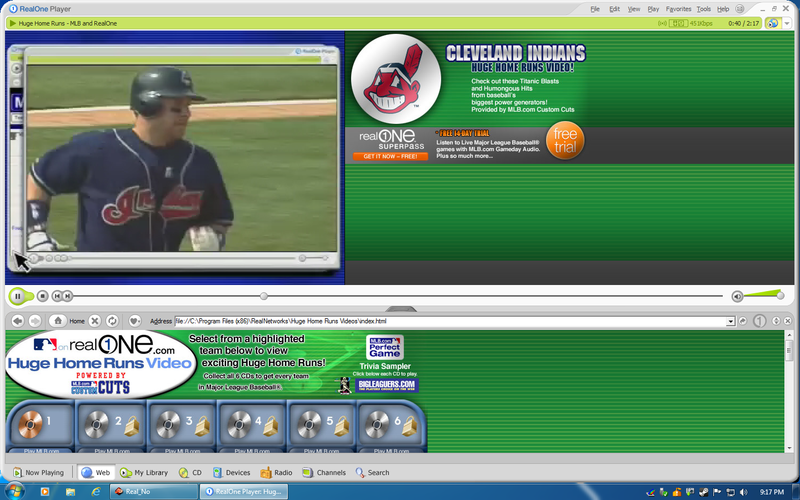 Whether for the Tribe or not, Mills is one to watch in 2012. Under the generosity of Mr. Ivie, the writers participating in this 3-part project have also been invited to write other guest pieces for BaseballDigest Online. As always, if something I write gets published there, I'll be sure to share!